Q4.Are your productsconforming to our standards 9 Yes,all our products pass CE,RoHS,Reach,EMC,LFGB test . Our factory has ISO,Sedex,BSCI certificates Q5.How do you control the quanlity 9 We have IQC before production and 100% testing before packing . 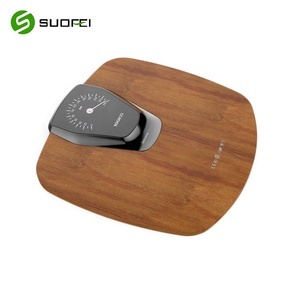 Q6.What is the MOQ9 MOQ is 500 pcs for neutral products ,1000 pcs for OEM order . 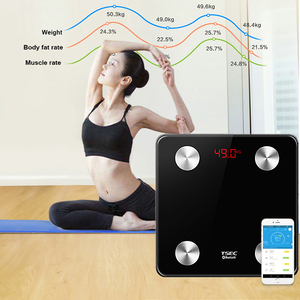 180kg ABS plastic digital weighing scale with bluetooth App for human Production Description 1)High precision strain gauge sensor 2)Capacity:5kg~180kg /396lb 3)Unit:kg/lb/st:lb 4)White LED 5)Plastic platform 6)Auto on & auto off 7)Power:4x1.5AAA batteries 8)Over load and low battery indicate 9)OEM is welcome Packaging & Shipping Package Detail: Product size 260x260x19mm Color box size 282x292x39mm Carton box size 307x270x300mm Net Weight 7.5kg/ctn Gross Weight 10.5 kg/ctn Pcs/ctn 10pcs Pcs/20GP 6750 pcs Pcs/40HQ 25730pcs CONTACT INFO Julie. Zhou Account Manager Zhongshan Frecom Electronic Co.,Ltd. Tel: +86 760 89935718-610 Cell: +86 13169883268 Skype : julie-zhouli Email:frksale002 at F or P roduct C ertificate: &radic;CE &radic;RoHS &radic;FCC &radic;Reach &radic;LFGB F actory C ertificate: &radic;Sedex &radic;ISO9001:2008 &radic;BSCI No. 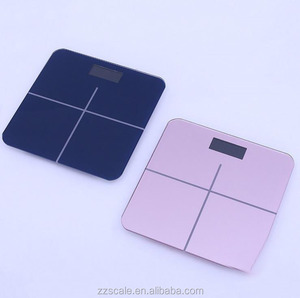 2 YRS Shenzhen Risince Technology Co., Ltd.
Alibaba.com offers 17,026 digital bathroom scale products. 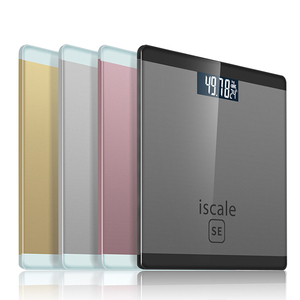 About 73% of these are household scales, 67% are bathroom scales, and 25% are weighing scales. 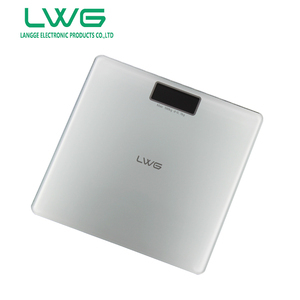 A wide variety of digital bathroom scale options are available to you, such as free samples, paid samples. 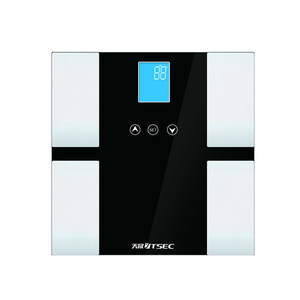 There are 17,026 digital bathroom scale suppliers, mainly located in Asia. 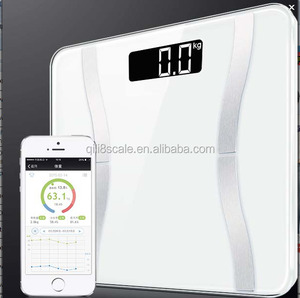 The top supplying country is China (Mainland), which supply 100% of digital bathroom scale respectively. 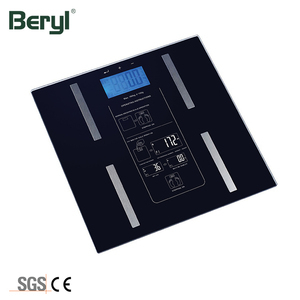 Digital bathroom scale products are most popular in Domestic Market, North America, and Western Europe. You can ensure product safety by selecting from certified suppliers, including 10,682 with ISO9001, 1,248 with ISO13485, and 1,105 with ISO14001 certification.